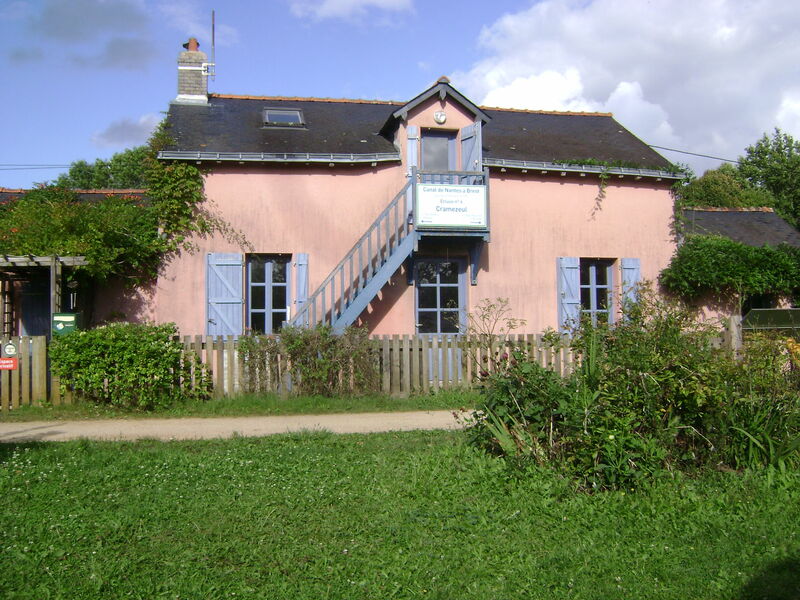 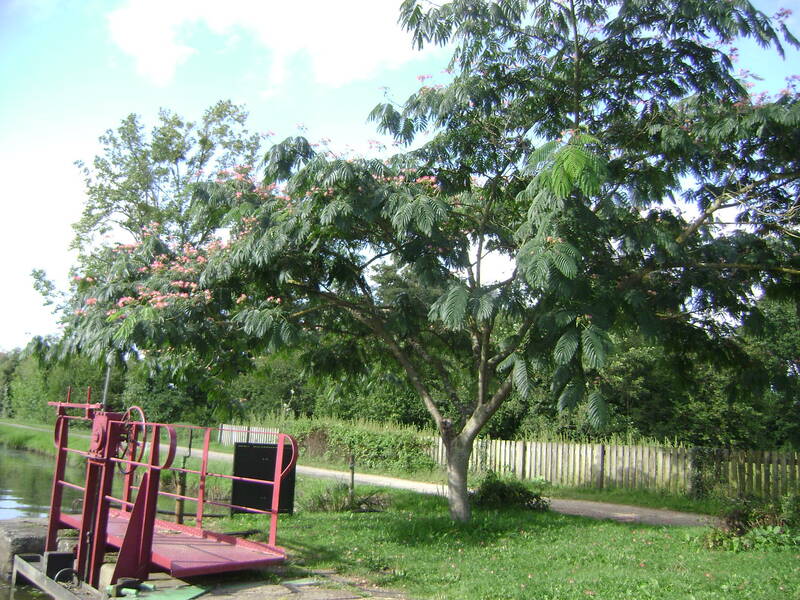 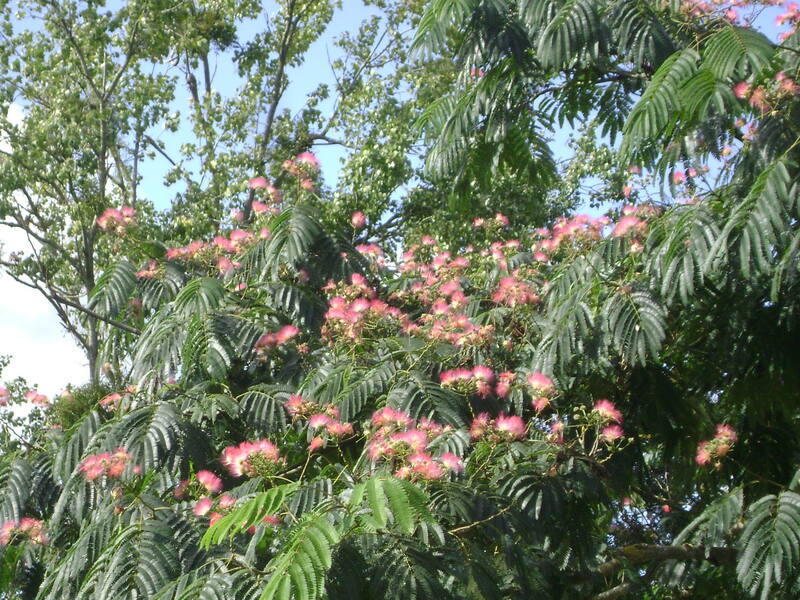 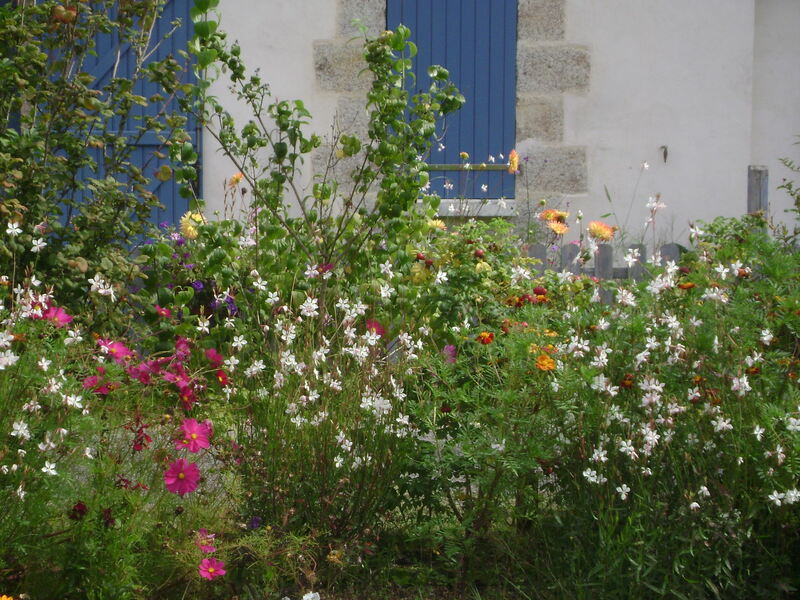 While visitors may on occasion complain about the weather, the gardens of Brittany benefit from abundant rainfall and moderately high temperatures in the summer. 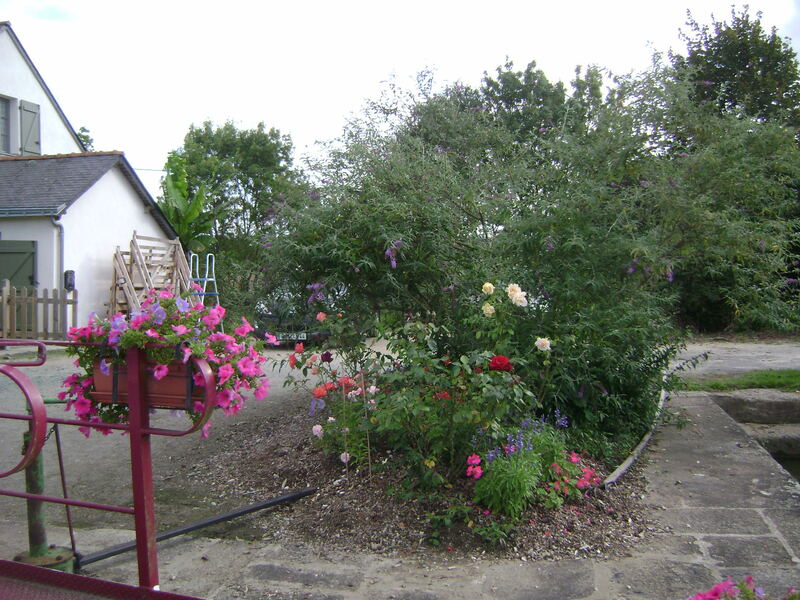 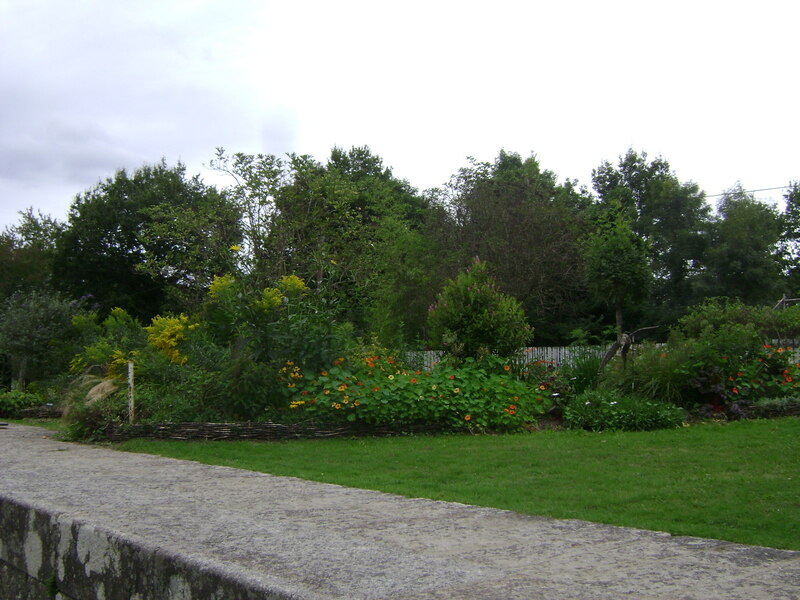 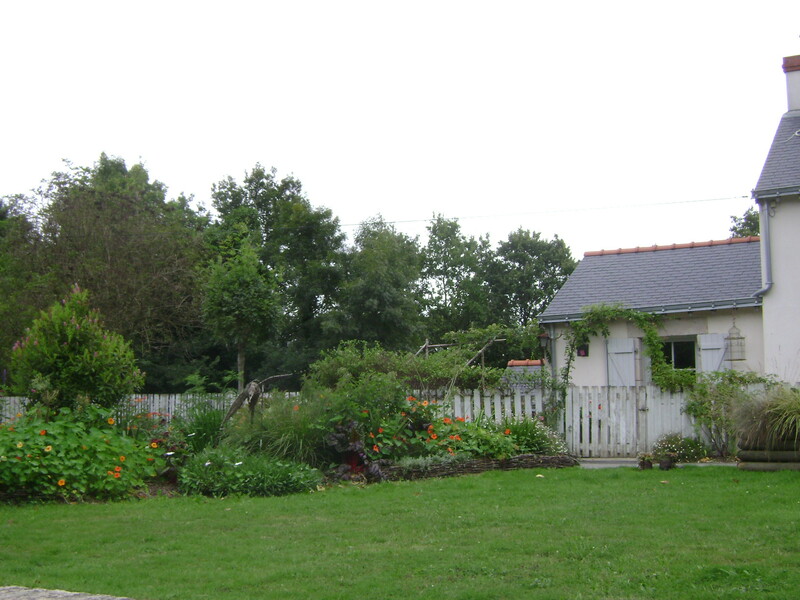 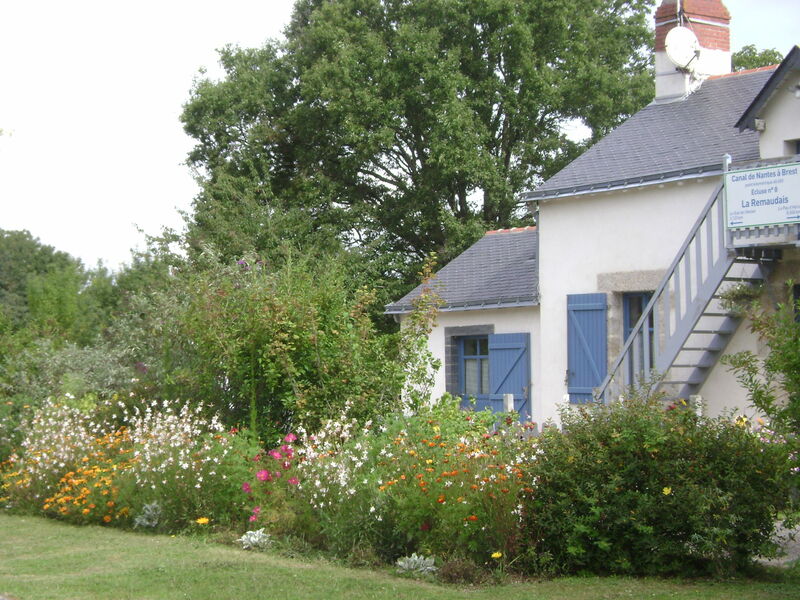 The Brittany countryside is lush and green year round, and so are the gardens. 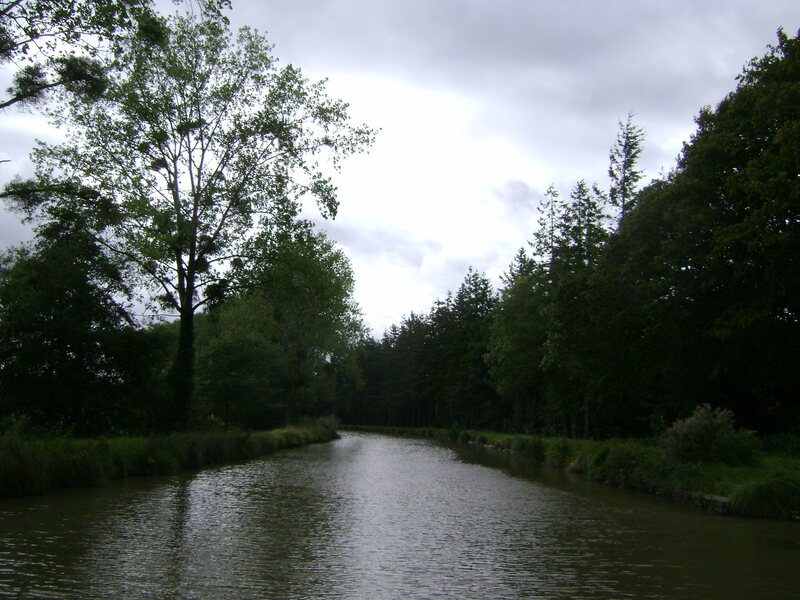 I recently had the opportunity to spend a few days on a boat navigating the Canal of Nantes in Southern Brittany. 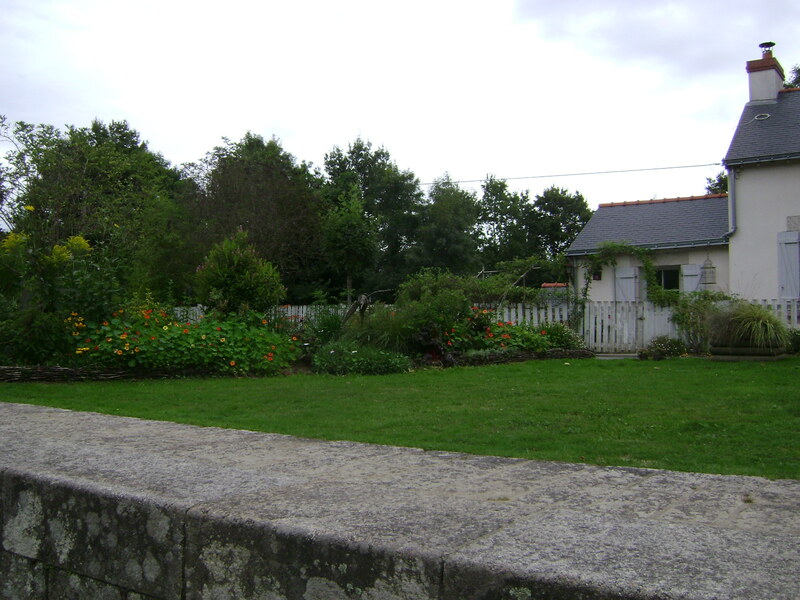 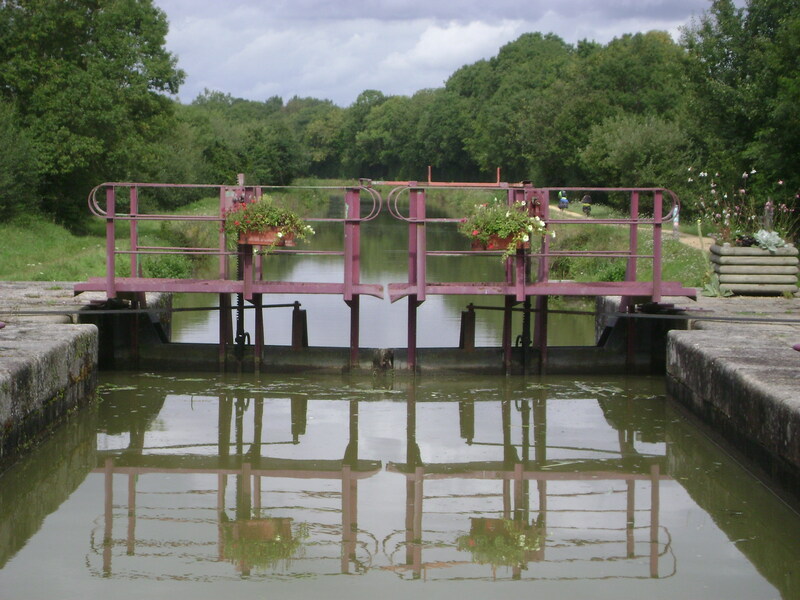 The canal is dotted with locks every couple of kilometers, and each lock has a lockmaster house, many of which display lush front gardens in a casual cottage style. 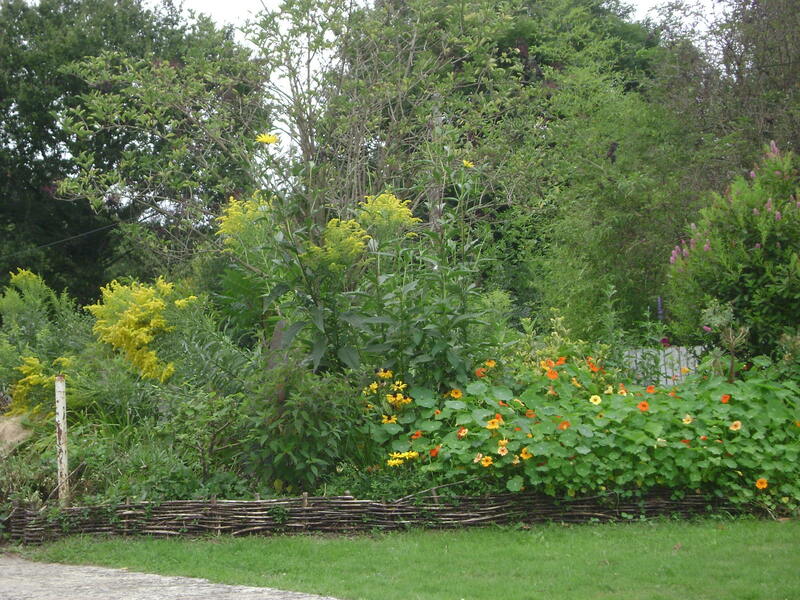 The next one mixes banana trees (musa basjoo probably) with perennial borders in shades of yellow and orange on one side (black eyed susans, marigolds), pinks and blues on the other. 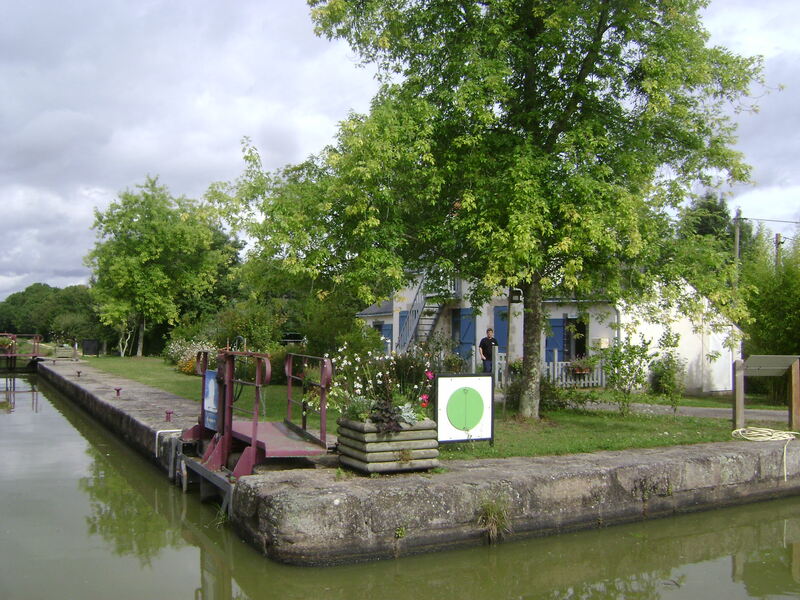 The green circle on the sign indicates there is someone to assist you through the lock; a blue one would mean you can go through but it is self service, red indicates it is closed. 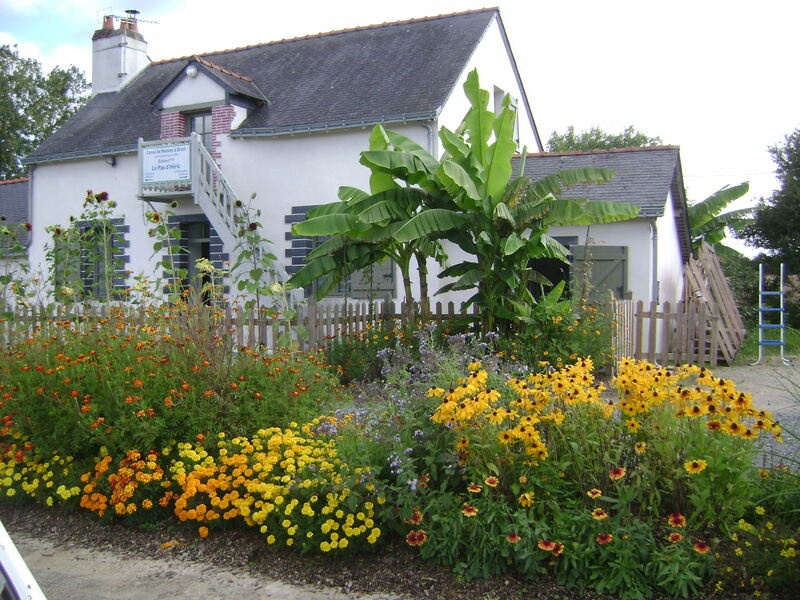 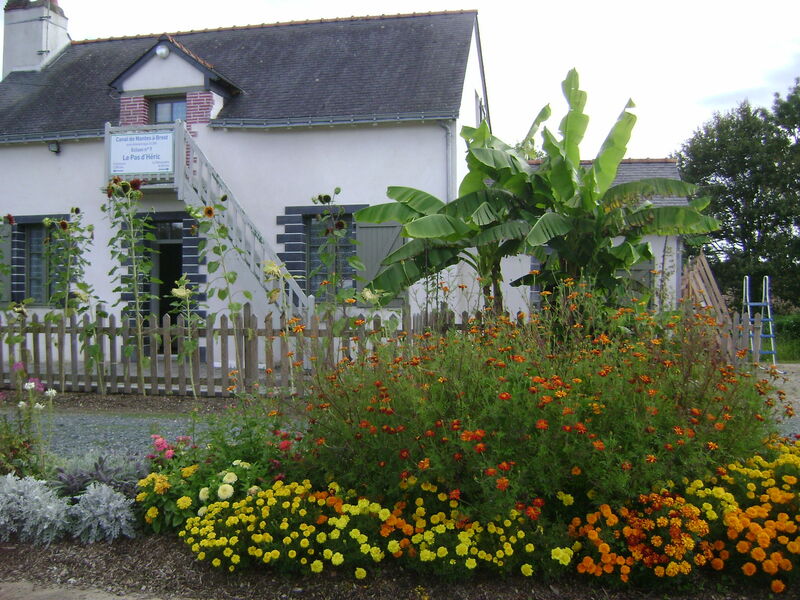 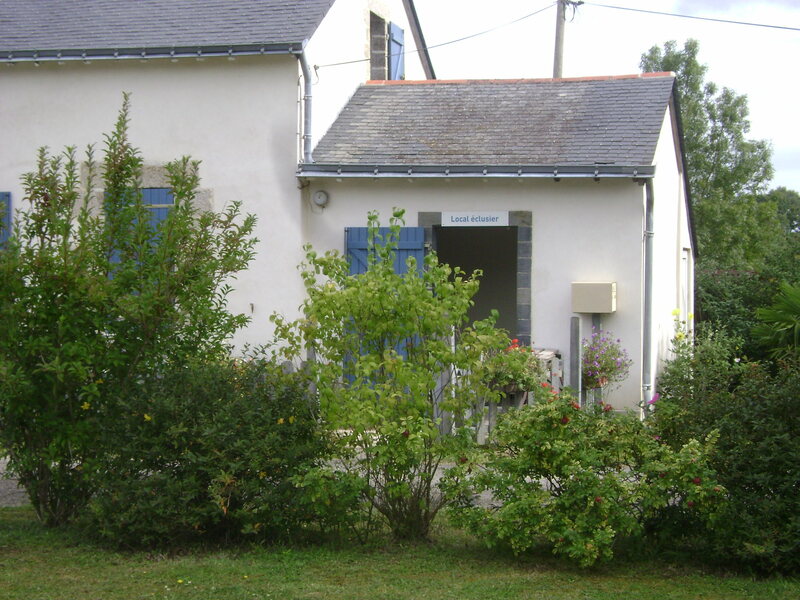 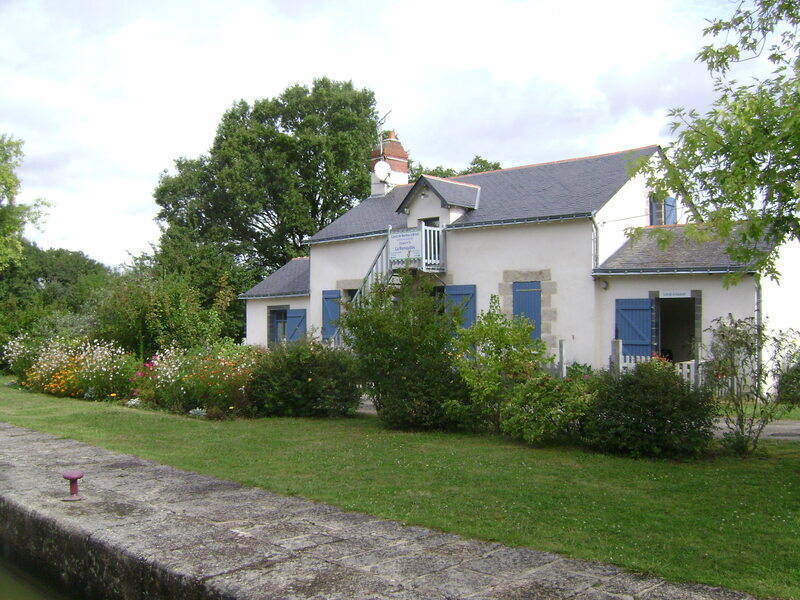 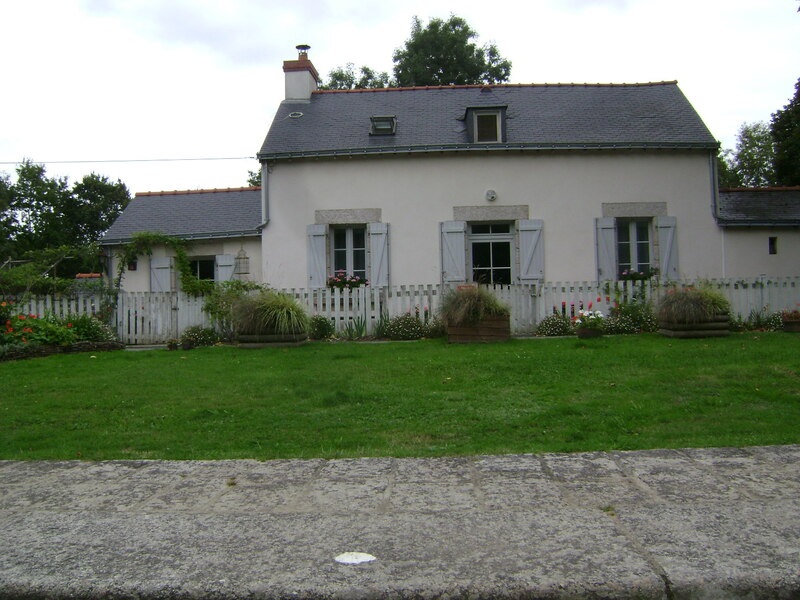 Another garden contrasts the blue shutters so typical of Brittany with lush mixed perennial borders. 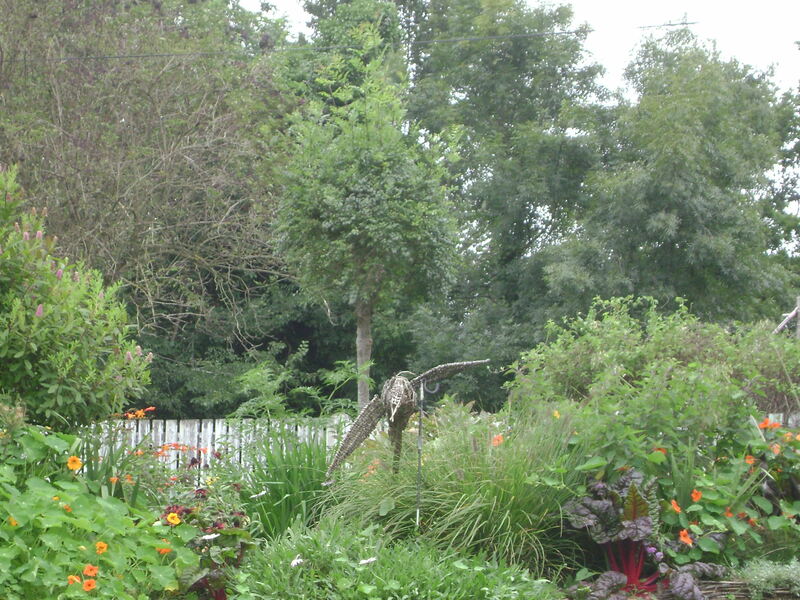 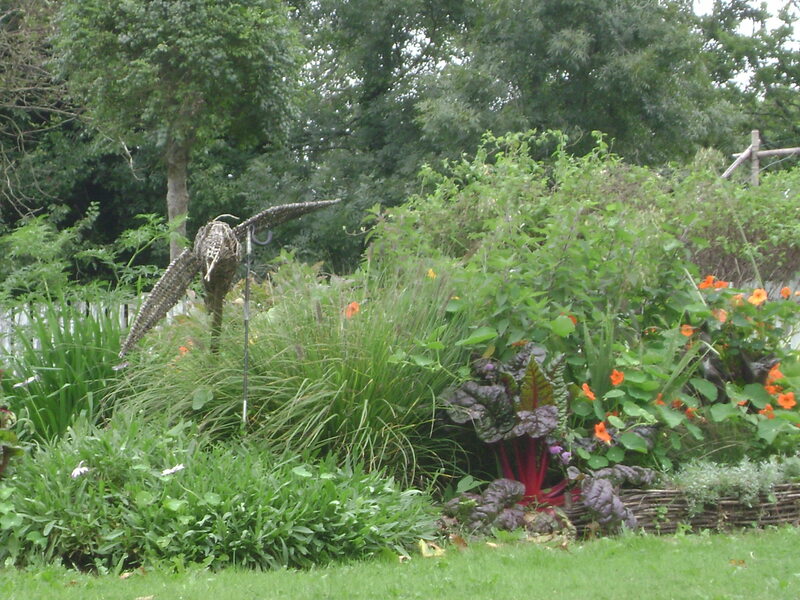 The last one features a quirky bird sculpture in a mixed border next to red nasturtiums for a touch of whimsy.